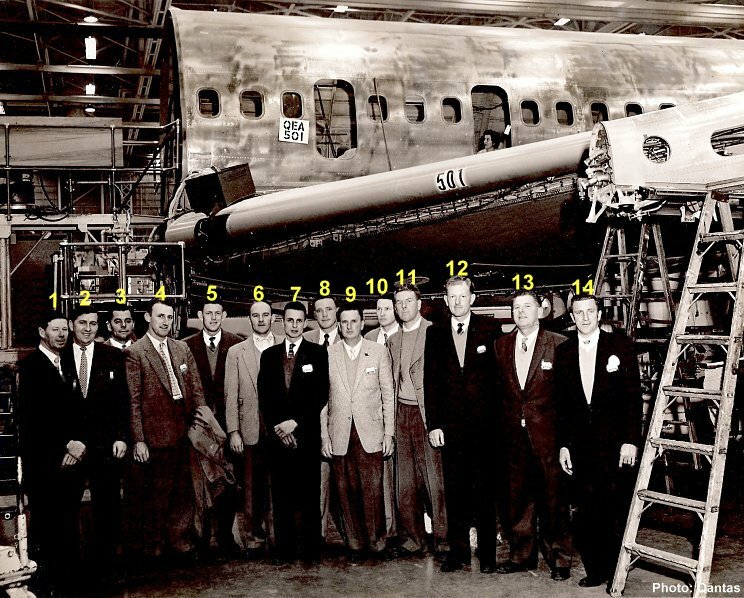 Qantas engineers with Boeing 707-138 VH-EBA on the production line at Renton in November 1958. The names were provided by Noel Taylor, Bill Fishwick and Dave Short. Bob Sprague supplied this print from Darcy Ovenden's collection. It is known that George Latham returned to Australia on the delivery flight of VH-EBB so it is likely that some or all of his colleagues also returned on this flight.